In case you didn’t know, my twitter handle is @Bacon_Is_King. At first I had no intention of ever getting on twitter under the guise of thinking that “real men don’t tweet”. Then I started actually seeing that almost all the blogs I followed in the virtualization space were heavily into the “twitters”. So I joined. The genesis of the handle was my love of all things bacon, and I figured that I wanted a twitter handle that was somewhat unique, and would actually make people possibly laugh or be intrigued enough to follow me, thus Bacon_Is_King was born. Don’t get me wrong, Bacon really is king. 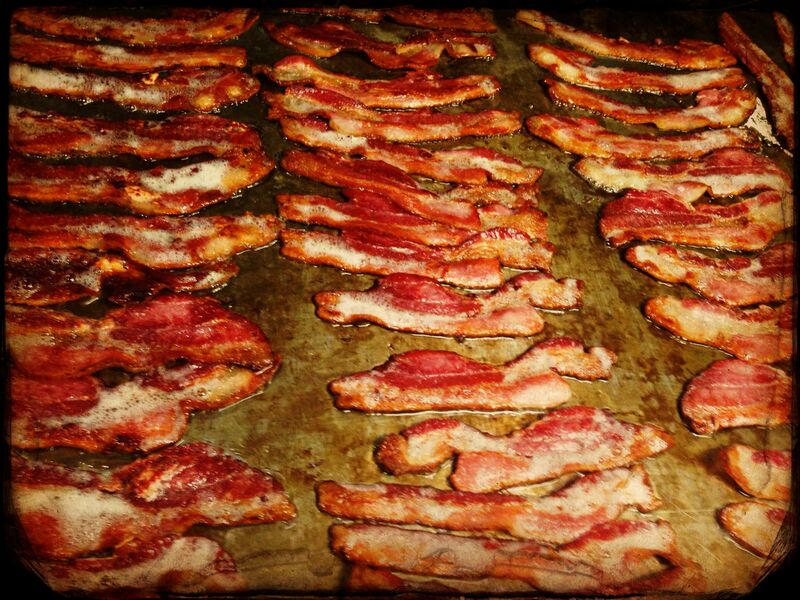 Yeah you may think Steak is King, or Lobster is King, but dude, nothings better than bacon. Next came lurking and then following. Usually the bigger names in the v-space, your Scott Lowes, Jason Boche, Duncan Epping types. The “heavy hitters” in the vSpace as I call it. For me it was an interesting foray into a world of pseudo tech celebrities, and after lurking for a few months I finally figured out the basic lingo, and protocol. Even the perplexing #FF hashtag became a valuable tool for getting follower and finding new people to follow. This also coincided with my first trip to VMworld. I had been begging to go since 2009, and luck would have it that the removal of my old boss, and the arrival of my new boss would be the key to actually getting to go. Fun fact: my twitter handle got me into the VMunderground party. I had heard about the party before, but by the time I had signed up for VMworld, the registration had closed. I had heard that VMUndergound was the one place where the “in-crowd” was going to be. As luck would have it, my twitter handle and a few dozen tweets about my desire to go to the VMUnderground party caught the eye of Steve Rogers @steve888 from Xangati, and because their tagline for the party was “I’d rather be eating bacon”, he generously took pity upon me and granted me access to the chosen land. From that point on, I entered a world that was in my view, pure awesomeoness. So at the VMUnderground party, even though there was no bacon, there was turkey legs, big ones, and my own gluttony would introduce me to my first real life v-Rockstar, Shane Williford aka @coolsport00. So as I sat, eating an giant turkey leg on the second floor, I ended up striking up a conversation with Shane and kind of made my first in person connection to a vExpert. As the night progressed, and as I managed to quaff many a pint o Guinness, and I ended up meeting many of the people who would help me along my journey into the social technology sphere. Prior to going to VMworld, I had read a post by Christopher Kusek @cxi about going to social events like VMworld and how to prepare. I brought 500 business cards with me to VMworld and I started giving them out to anyone who would take them, and when I left I think I only had 150 remaining. I glommed onto the spirit of socially networking with everyone I met. I hit up blogger row and bumped into Matt Vogt @mattvogt, John Troyer @jtroyer Patrick Redknap @PatrickRedknap Damian Karlson @sixfootdad and many others. These were people that I had followed on Twitter and whose blogs I read, and whose opinions I valued. In a sense I was a little “star struck” because to me many of these people represented the real essence social media and blogging within the Virtrualization space. From there, I discovered the world of v-Outreach. 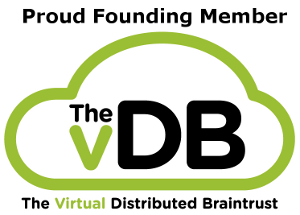 People meeting, tweeting, blogging, and connecting all in an effort to discuss virtrualization. For the social animal, this kind of event is the like the super bowl. You get to watch the real kings of the industry in the Cube be interviewed, watch Chuck Hollis give a presentation on the future of Big Data, bump into Robin Harris, Scott Lowe, Virgil , Eric Sibert, and many others in the storage and virtrualization space, and not only that, have discussions with them. I don’t think I ever truly understood the power of social media until I went to an event where it drove so much of the social interaction, and was ingrained into the day to day, hour to hour aspects of the event. Prior to VMworld, I had 70 followers, months later now I’m at around 360, yeah, its nowhere near the Greg Knierimen level, but its a start. Good read Gabe. Our experiences with twitter and our first VMworlds practically mirror each other, hell I was even at the VMunderground party. Getting more involved with twitter has definitely exposed me to a vast amount of resources and knowledge. I have to say Gabriel – you may not be a real man!